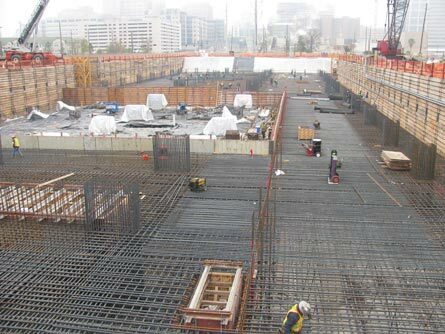 The project consisted of the construction of a 22,000 cubic yard mass concrete mat foundation for a medical facility in Houston, TX. 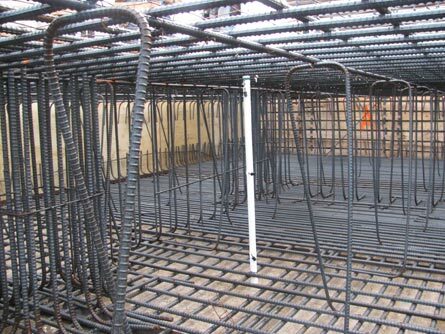 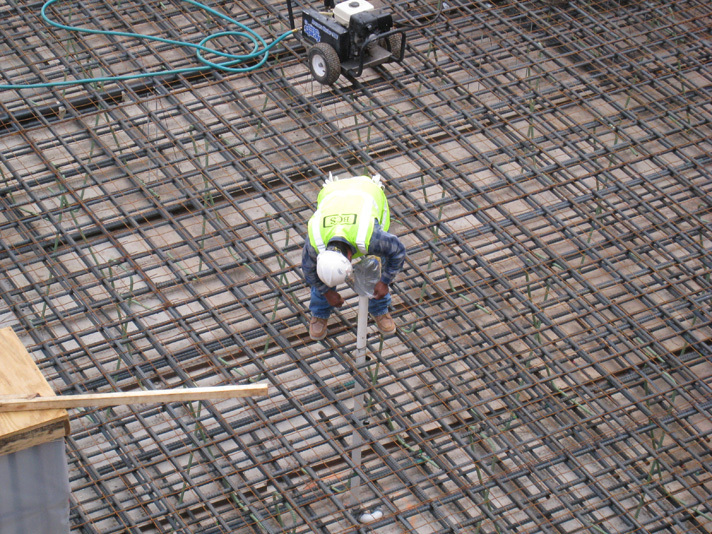 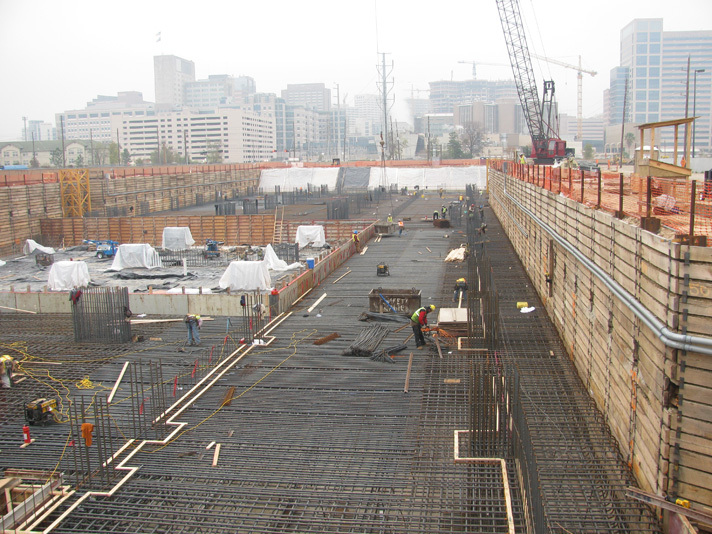 CA’s work consisted of working with the Structural Engineer of Record, General Contractor, Concrete Sub-Contractor, Independent Testing Laboratory, and the Ready-Mixed Concrete Supplier to develop a construction plan for the placement, curing, and protection of the concrete to ensure the quality of the concrete in-place. CA developed a plan for the preparation and placement of the mass concrete including monitoring of internal concrete temperatures. 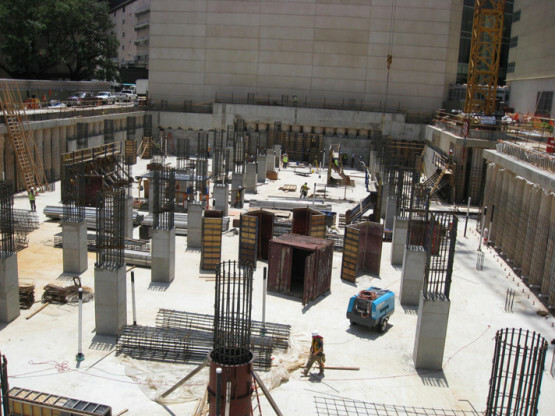 This plan was based upon several meetings with all parties involved in the construction, review of plans, drawings, and specifications, evaluation of the concrete mixture proportions, and prior experience with mass concrete. 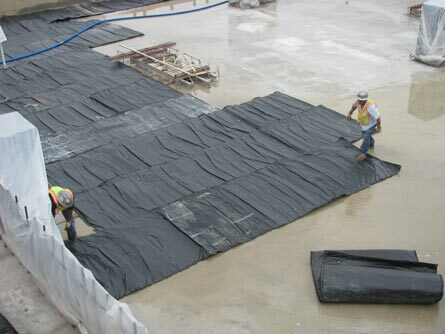 CA’s work also included developing the quality control program for accepting the fresh concrete delivered to the job, temperature monitoring plan, concrete specifications, curing methods, and early age protection to prevent distress of the concrete. 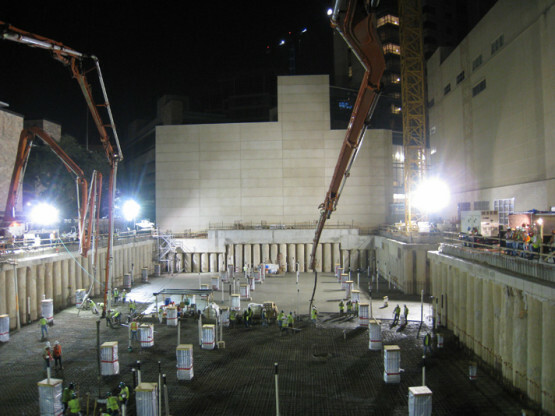 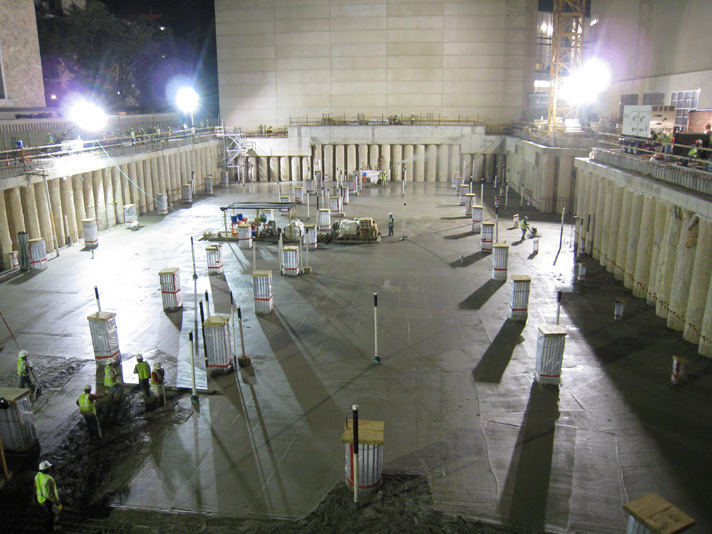 Through daily monitoring of the ambient and internal concrete temperatures, CA was able to provide the General Contractor with guidelines for proceeding with construction as quickly as possible while ensuring that the concrete did not experience any cracking due to thermally-induced stresses.